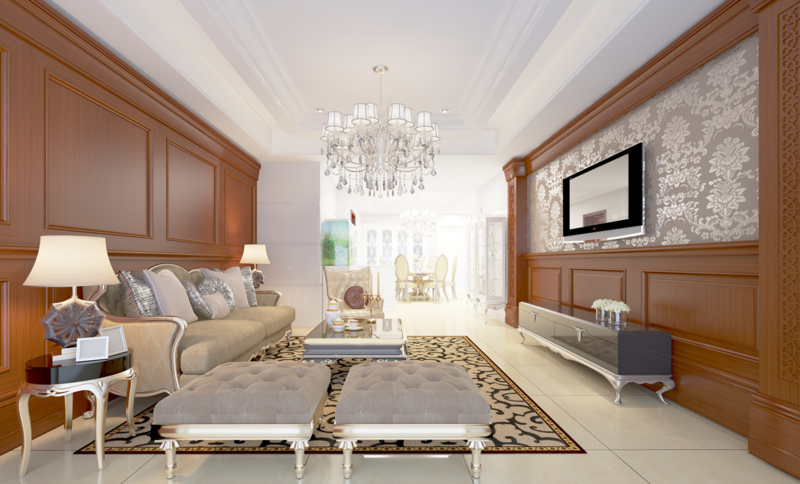 With the sense of cooperation and empathy created between us and the freedom offered by the product, Zaga presents interior designers with the opportunity to reflect the world they want to create in the most accurate way. 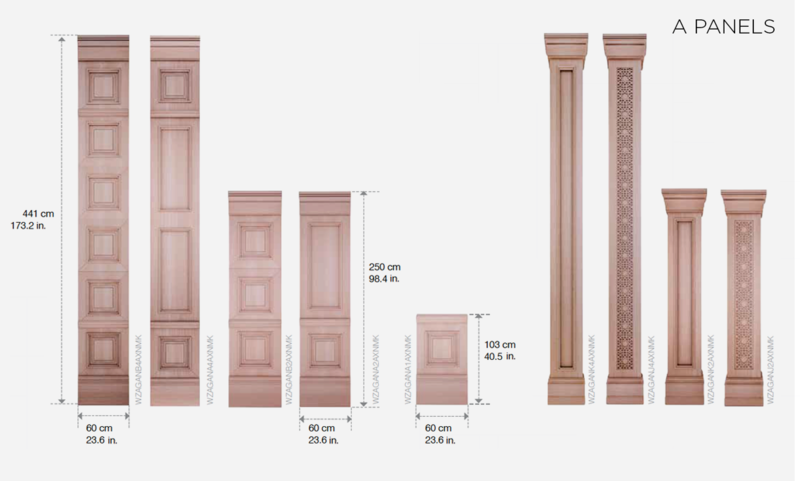 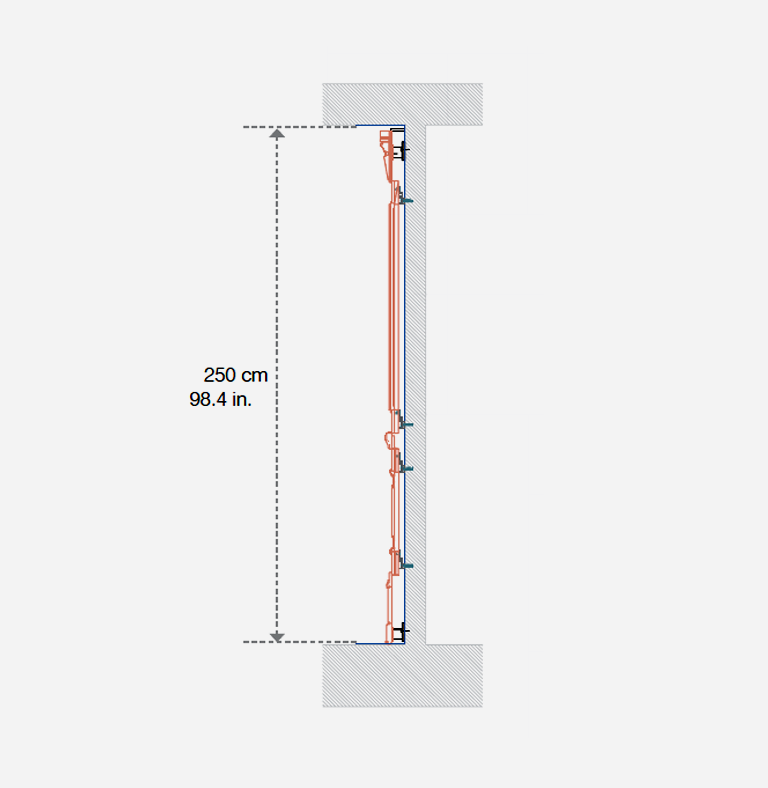 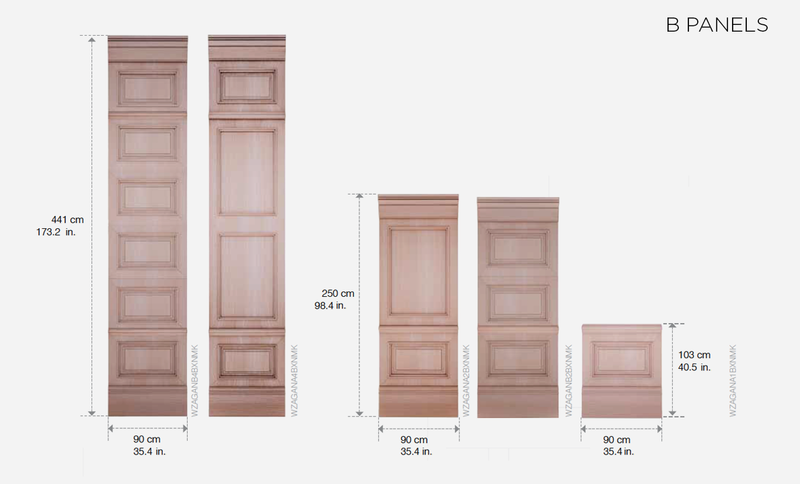 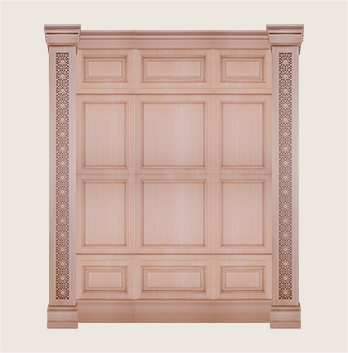 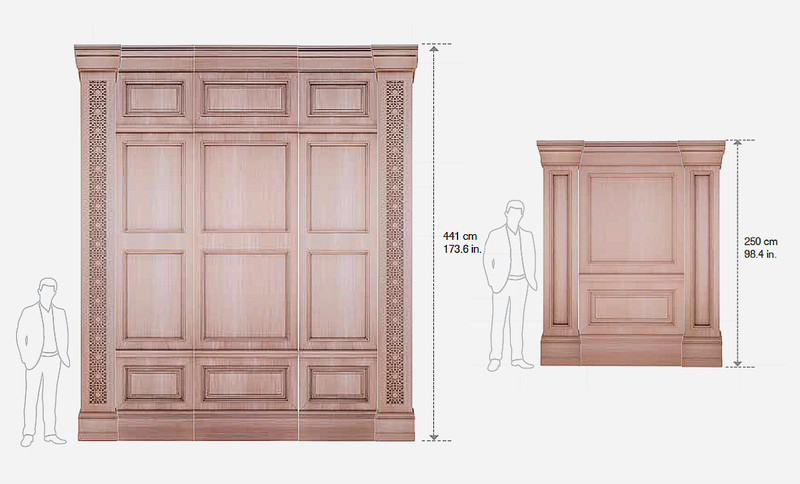 These panels are planned to add up to a total height of 2500 mm as follows: a 350 mm baseboard, a 615 mm panel with molding, an 80 mm profile, another 1230 mm panel with molding and a 250 mm crown molding. 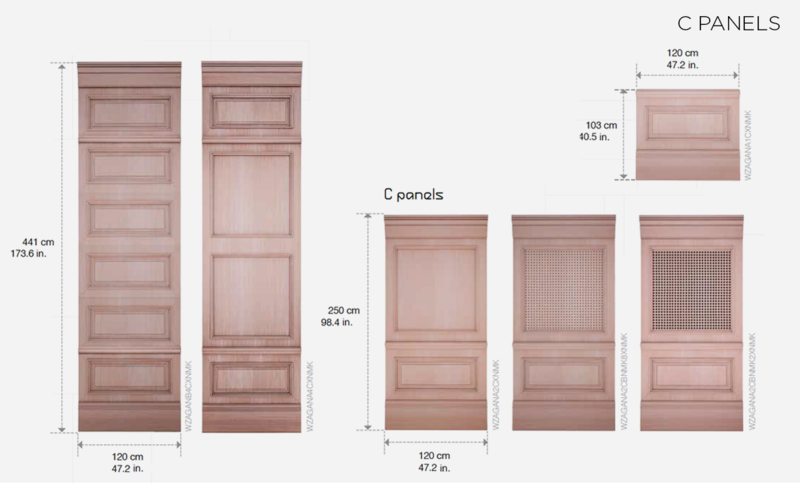 The various modules can be used to create panels of different height. 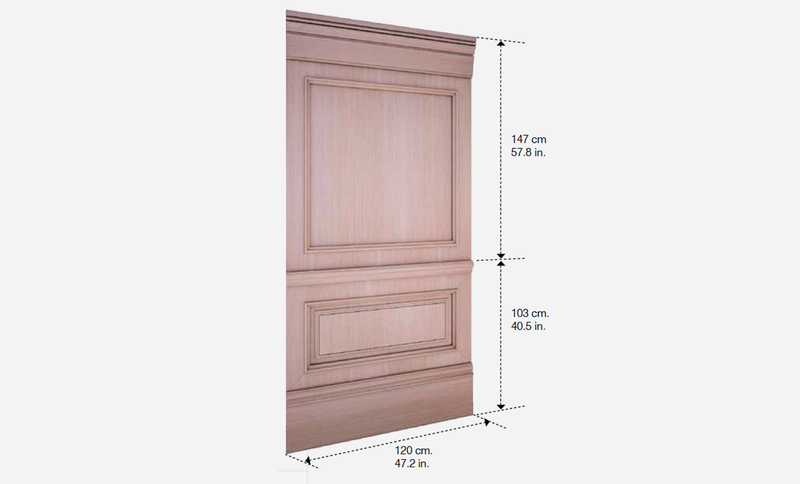 The straight panels can be cut angularly and assembled as corner modules. 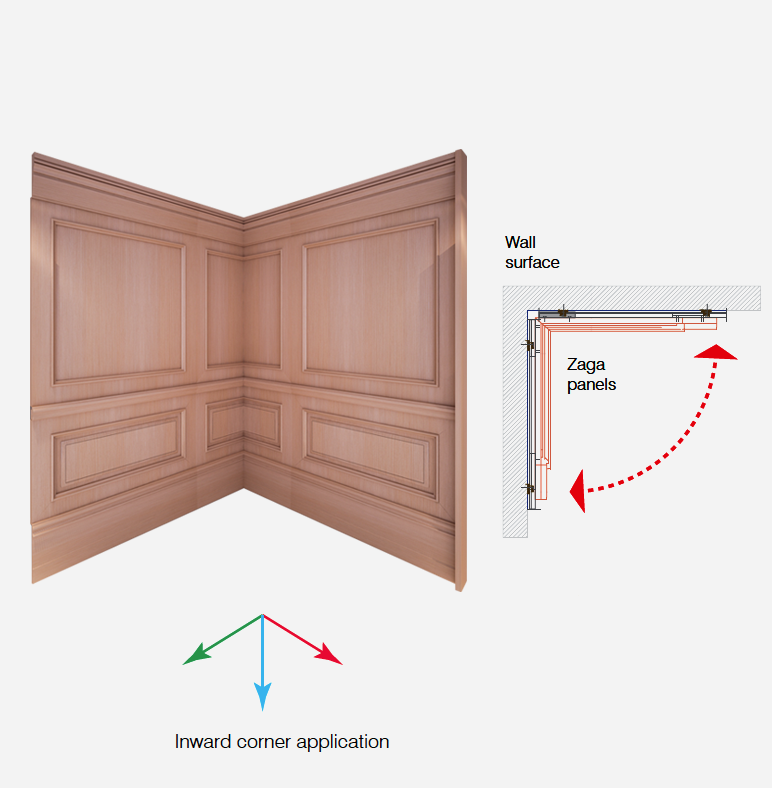 ZAGA Module provides different absorption characteristics for its alternative types. 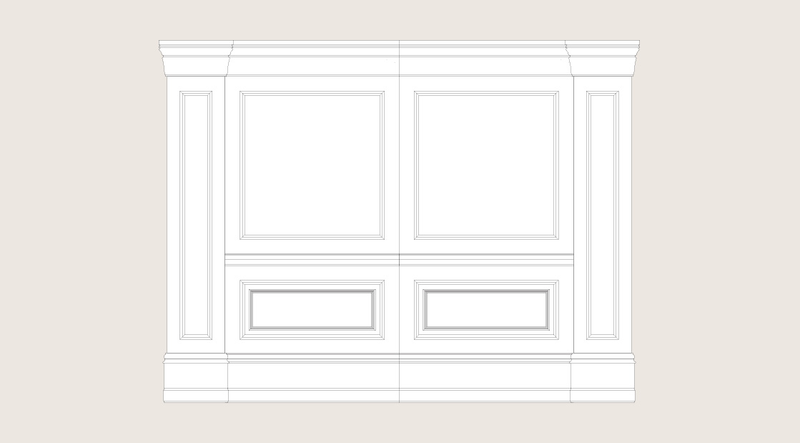 T2 can be used for light absorption in small rooms or in large rooms where additional absorption is necessary to provide acoustical comfort. 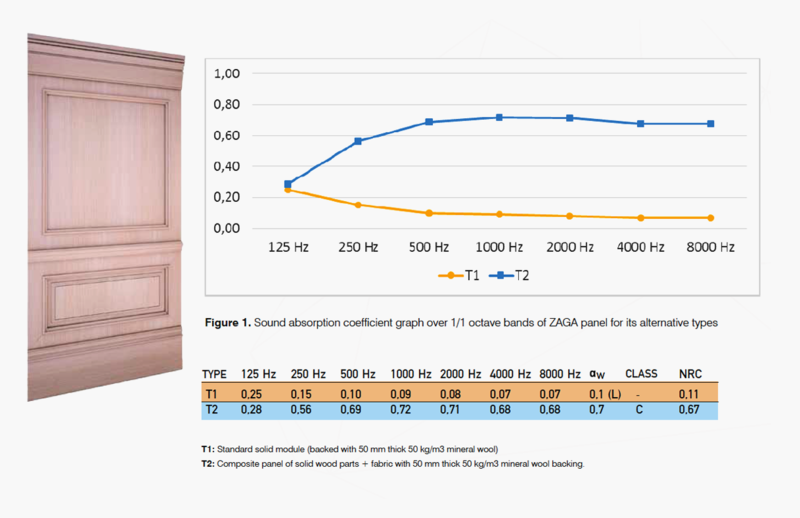 Having different depths in elevation both T1 and T2 is more effective in sound scattering in comparison to a solid flat panel. 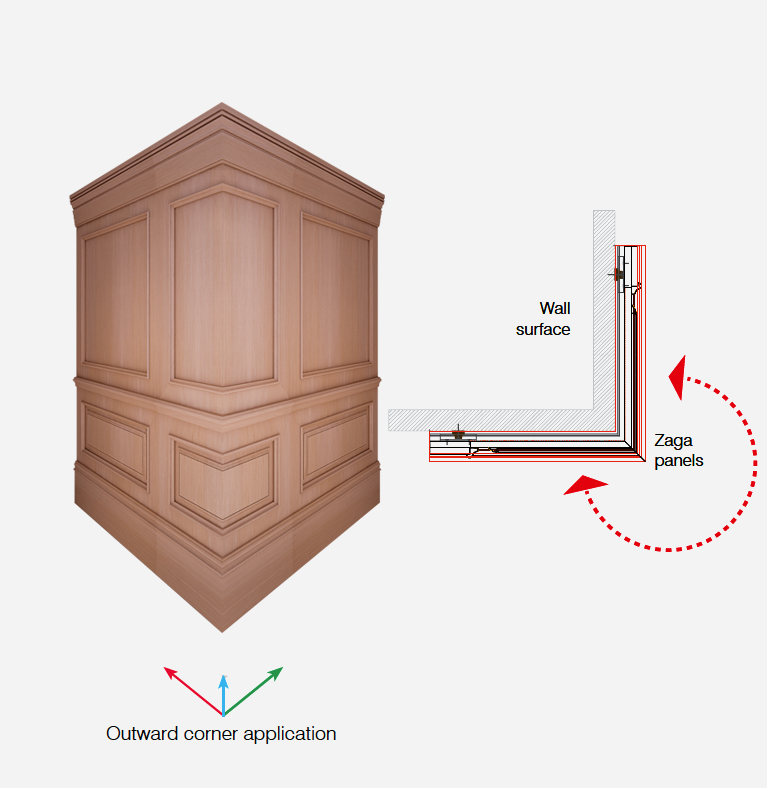 This will be beneficial in preventing acoustical defects causing disturbance due to harsh sound reflections, acoustical glare, echo or flutter echo.